It takes more than a tweet to make a company social. This is part 7 of a 7 part series. It’s free to use social media as an individual, but that’s not the case for businesses. There is still a lot you can do on a small budget, but costs rise steeply with the scale, complexity and ambition of your social media strategy. Beyond staff salaries the costs come in three buckets; content creation, tools and promotion. The best content for social media can be in the form of text, long form articles, images – photography, graphics and infographics, video, and streaming video. It’s a very rare company that has the expertise in house to handle the creation of all forms of all content. If you want great looking content you’ll need a designer. I’ve found that using freelance designers works well once they’ve built an understanding of your brand. use a standard format for infographics, particularly if you’re using a single data point for an image. This will cut down the designer’s time needed to create content and give you a more consistent brand look. Look for tools that format images per platform, Canva is one tool, but there are others out there. Reformating/resizing can be done easily and possibly in house. If you’ve got a piece of content that is valid for a longer term like a report, ask the designer to create a suite of infographics at once so that you can re-use and promote the content with original content. Get your social media managers/community managers trained to use photoshop. This is NOT the same as replacing the designer, but it might allow them to work with quality templates to add variations to text. There are a lot of tools needed to support an effective social media presence, and the costs range from free to big bucks. For example social listening tools; for my current needs I use tweetdeck and google alerts, and there are other free/cheap tools around, but large corporations invest huge sums into tools like Radian6 (Salesforce), Engagor, and Sysomos because the volume of mentions in social and the complexity of their social media structure require it. The same range exists for social publishing; from free use of the native platforms – including platforms like wordpress and medium for longer form content – through to large-scale complex tools like Sprinklr and Percolate. These large scale tools enable companies to save costs of production, planning and publishing. They’re worth it in large complex companies – really, I worked on the business case for one. How much you need to invest in tools comes back to the scale and complexity of your company and the ambition level. The open secret of social media; increasingly you “pay to play” on platforms. As an example, in a recent campaign for a new charity I’ve been working with the best performing post for organic reach had 295 views, the worst performing of the boosted posts in the same period had a reach of over 3000. Often the spend isn’t that high – in this case it was just 18 euro that gained that reach. Spending for reach is strongest on Facebook, but Twitter and Pinterest also enable promoted posts and Instagram may follow suit. Platforms allow you to target your audience based on demographics and interests, and the cost of “reach” will depend on the value of your target audience. In my experience we’ve had better results promoting content rather than an account, promoting accounts on twitter may increase your follower numbers, but tends to decrease the total engagement in my experience. 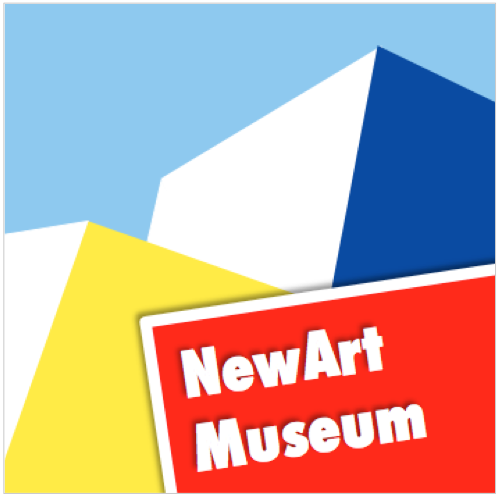 The NewArt Museum decide to use free tools as much as possible in this initial phase, they want to focus their efforts on Facebook and Instagram, and Facebook’s native platform offers plenty of scope for scheduling and reporting. Instagram doesn’t offer scheduling options and has had a history of closing any apps that allow scheduled publishing to the platform. The team do set up a shared calendar to plan and co-ordinate content for publication. There is a web designer engaged to the project already, the scope of that is extended to included design of assets for sharing on social media. A promotional budget is set aside, this includes money to promote posts on Facebook, money to work with influencers on Instagram and money to offer prizes as part of the campaign. The dream for Instagram is to curate a series that interprets the hashtag #NewArt in inventive ways. The social team start reaching out to influencers. What Does a Great Leader Look Like?